We were at the launch of the new Volkswagen Sungai Besi showroom yesterday night, which was quite happening for a showroom launch with lots of pretty people. 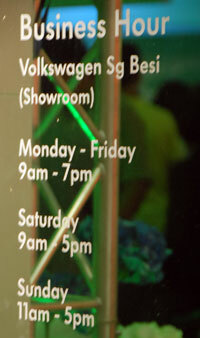 Operated by Wearnes VW, the exact location of the showroom is along Jalan Sungai Besi, next to the Volvo showroom and beside Proton Edar. It was formerly an open space and the entrance is on Jalan Dua, off the main road. 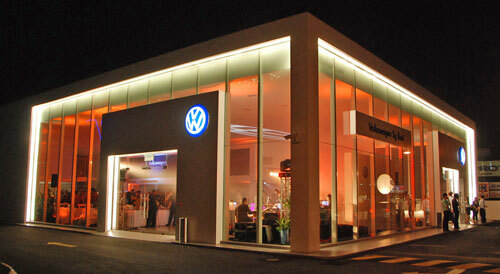 This is the third Volkswagen showroom by Wearnes VW, which also has outlets at Jalan Ampang and Bangsar. A unique feature of this Sg Besi outlet is the first integrated dialogue reception where service advisors are able to easily detect and address issues for a more accurate diagnosis of the car’s health. “We are very proud of the new showroom because it’s designed and built from the ground up according to the latest corporate standards set by Volkswagen. 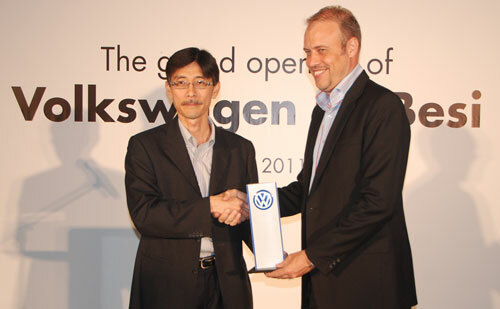 “These are exciting times for the VW brand as we have a dream portfolio of models. The increased traffic through our showrooms and subsequent number of service visits is testimony of the interest in the brand,” said Jack Zaal, GM of Wearnes Automotive. It’s another pit stop for VW owners, who were also recently greeted with good news of a 5-year premium roadside assistance programme. Volkswagen Sungai Besi can be contacted at 03-92362929. Photos from the event are after the jump. Previous Post: New Ssangyong Actyon SUV set for May 2011 local debut? Next Post: VIDEO: UDM tagline reintroduced with F10 refueling ad!